The Confetti Red Toilet Brush manages to turn a dull cleaning accessory into quite a design statement. Made from porcelain, this minimal red toilet brush looks sleek and modern in your bathroom and is anything but an eyesore. The red base also features a soft-touch and mark-resistant coating to keep things looking clean. 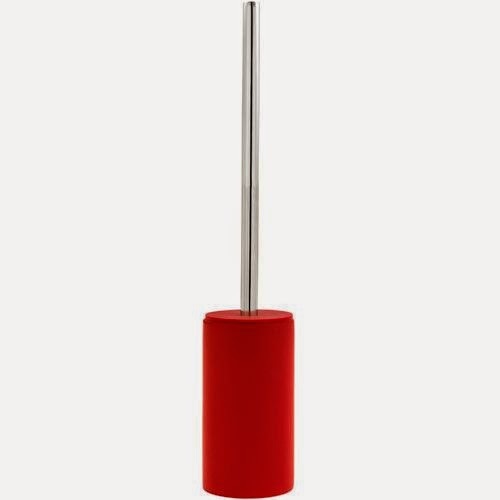 With a stainless steel handle on the toilet brush, the other great aspect of this design lies in the red rubber disk that covers the funky look brush when not in use. For co-coordinating red bathroom accessories, it’s possible to place an order for other bathroom accessories.